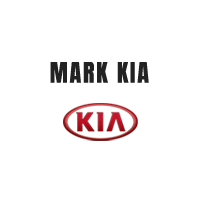 We here at Mark KIA know that accidents happen and even the most cautious driving can sometimes end up with an accident. If you find yourself with a ding or a scratch on your new Kia model, then that’s where our car body shop in Scottsdale, AZ steps in to help! Our professionally-trained experts are ready and waiting to get you back on the road quickly and easily. With our technicians and mechanics at your side, your damaged vehicle will get the tender loving care it deserves. Whether you’re in need of a new coat of paint, need a dent knocked out, or require some new auto parts to replace the damaged ones, you’ll be looking as good as you feel when the job is done. Whether you have a Forte, Optima, Rio, Sedona, Soul, or any other Kia model, our staff knows them all like the backs of their hands so you can rest assured you’ll get the satisfaction you deserve. Should you also require some routine maintenance, make an appointment with our service center and get a quick check-up to keep you confident in your vehicle’s health. While you’re at it, head over to our service specials and parts specials pages to find out if the service or accessory you need is on sale! The lists are always changing, so check back later if you don’t see what you’re searching for. Or get started on your body shop appointment, just fill out the form and we’ll get back to you as soon as possible. Then, when it’s time to come in, head out to our 1000 N Scottsdale Rd, Scottsdale, AZ location and we’ll leave you smiling every time.